Our Independent Surveyors are happy to help and advise you with regard to building surveys, independent valuations, property surveys, structural surveys, engineer's reports, specific defects report regarding problems such as cold bridging and dampness, home buyers reports or any other property matters and yes we will also help you design your loft conversion. Please free phone 0800 298 5424 for a friendly chat. Originally the Company was set up with some beautifully naive aims - these being that if we offered the best surveys we would make a good honest living. To view our first website... click here. However we soon discovered that all is not as it seems in the property world. Property is very big business and the lending of money to finance the property is equally big business. This has lead to some of the biggest companies, shall we say 'protecting their interests' (we have to be careful what we say because one of the very big companies have tried to take us to court for our comments previously - maybe they don't like people to know). Caveat Emptor means Buyer Beware and whilst the buyer should be aware that they have liability it can help to make a unique selling point if your house has its own independent structural survey carried out. There is an "interesting" situation whereby the Estate Agent can be owned or own the Surveyors and in turn all be owned by the Lenders. We are probably safer (from the being sued point of view) to say they have close links with them. So this means the Estate Agent can recommend the Surveyors and Mortgage lenders - all owned ultimately by the same company. Buying a house has to be one of the biggest investments most people make, therefore we feel it's important to get good advice. That's why we treat every house we survey as if it was the house we were buying. It may be easy but is it sensible? We know from talking to you that many of you have had surveys that you feel are almost worthless. Have a look at the copies of our surveys on this website, compare them with what you have had in the past, or what you have seen elsewhere, download them and have a good look. 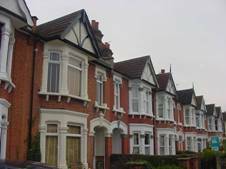 A house is an expensive purchase, therefore make sure you have the right survey as all Surveys are not the same. It may be easy but is it sensible to use the Estate Agent/Financial Advisor/Lenders "recommended" Surveyor - you can compare surveys carried out by these type of surveyors with surveys that we have done by clicking here. We act just for you - we offer a personal service tailored to your needs and we are truly independent. 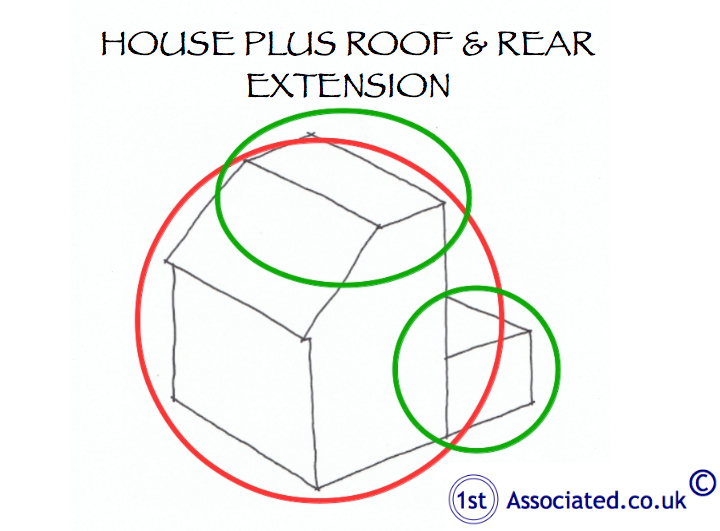 You can ask us to look at potential for an extension (we can draw extensions too) or that crack you saw - is it a problem or not? 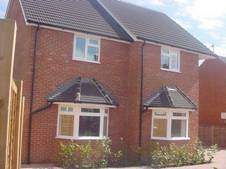 In fact we encourage you to contact us both before and after the survey for a chat or meet us at the property. We will be pleased to see you. You can view the ISVA Charter by clicking here. We find time and time again that owners, builders and surveyors alike treat the effect of a problem without establishing the cause. It's often relatively easy to see the problem and effect and hard to see the cause. 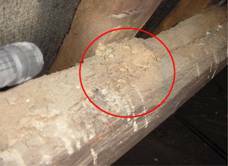 We always try to find the cause of the problem and would start by sending you a questionnaire to complete before the survey is carried out - you can view the questionnaire by clicking here. And finally a survey should give you a safety net. We take great pride in what we do. We will try and be conclusive in what we say (not always possible). On the building surveys for example, if something needs opening up, a floor for example, we will do our best to get it open (present owner's permission required of course). If you feel we have missed something we are happy to return free of charge. We will talk and talk with you until you are happy to make a decision. Ultimately the decision is yours of course - we advise, you decide. We still have beautifully naïve thoughts but now many years on we understand the property game. We have built up a fantastic client base on word of mouth recommendations from people who have discovered us one way or another. Yes, sometimes you may have to wait a bit longer than you may want in an ideal world, but we do work as fast as we can, whilst offering the very best we can. What do the circles and ovals in our Surveys mean? 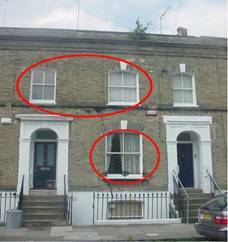 The circles and ovals are a system that we use within our structural surveys and building surveys to highlight problem areas so that you are not left wondering what the problem is. 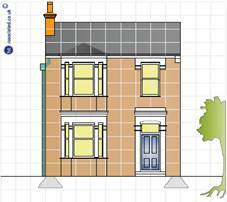 If you would like to see an example of our tailor made building surveys, we are more than happy to provide you with them via email. Our building surveys contain an Executive Summary that highlights problems as well as photos, sketches and definitions that help to explain the specific problems that we find within the property.